Without a doubt our diet is one of the most influential factors on the amount of inflammation we have in our bodies – meaning the less we have, the better we feel, and the less disease and symptoms we suffer overall. And aside from diet, natural remedies can also be a BIG help. 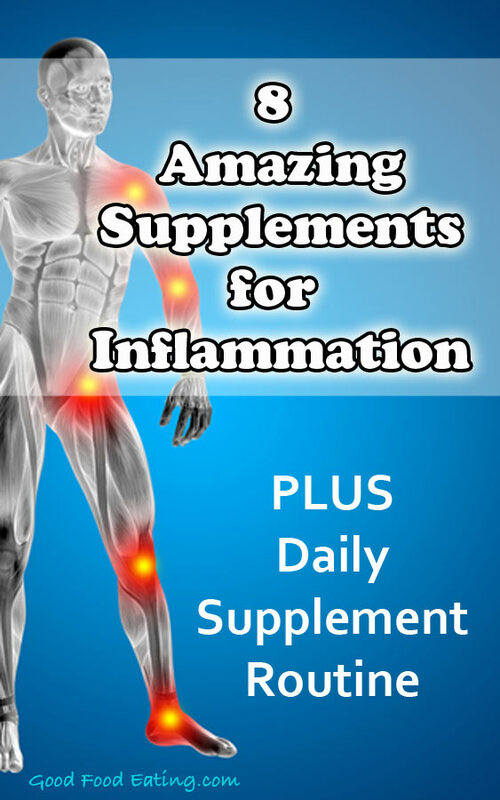 The fact is that using supplements for inflammation can help support your body and provide more rapid relief from aches and pains, and inflammatory conditions, and support your body while you implement an anti-inflammatory diet. So I’ve put together a list of 8 amazing supplements that can help and a daily routine to follow for best results. 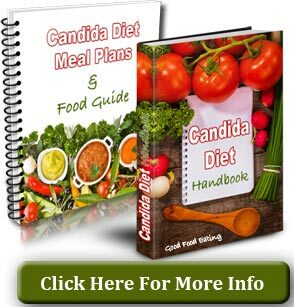 There are affiliate links in this post, if you purchase anything using them, thanks in advance for supporting Good Food Eating. Unbelievably, our immune system and whole metabolism starts in our gut. More and more research is pointing to the importance of having a good balance of healthy gut bacteria in the digestive tract. When we have more of the bad guys and less of the good guys, this promotes inflammation and a variety of other health problems. A probiotic is a supplement that contains millions of beneficial bacteria, so we can restore the good colonies and bring back the balance. 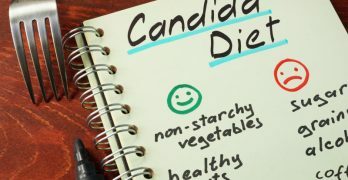 You’ll often find these in combo probiotic supplements, but just make sure you get either one of those 2 strains within the supplement you buy. Bitters are a group of plants (Dandelion root tea, Ginger, Peppermint) that have been used for centuries for their medicinal properties, all of them having a powerful detoxification effect on the body, aiding in digestion, assimilation, and elimination – stimulating digestion, increasing digestive juices, improving hydrochloric acid and the production of digestive enzymes. The liver and the digestive system needs to be functioning properly if you want to reduce inflammation. Bitters in particular are very powerful for the liver, which is responsible for many components of metabolism. 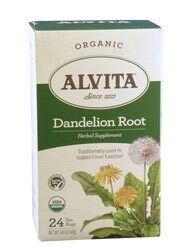 Is a wild plant that has both edible leaves and roots, but the roots are best known for their tonic effects on the liver and gallbladder, helping to detoxify and rapidly restore function – and it’s best taken as a dandelion root tea. Dandelion also acts as a mild tonic for the pancreas, which is often working hard to keep up with our bad diet and high blood sugar levels. 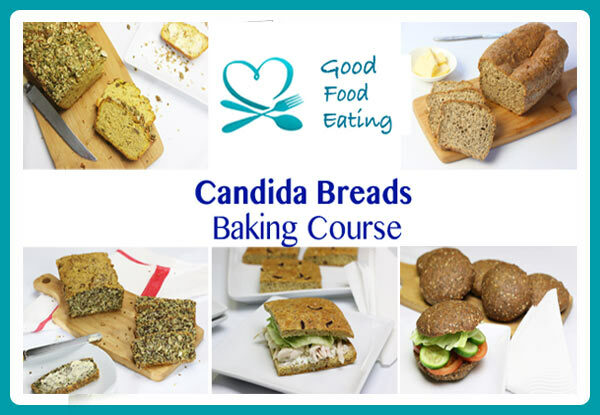 Stimulates digestion and circulation. It helps with nausea, motion sickness and gas and is a natural anti-inflammatory. Ginger can also help lower blood and liver cholesterol. Try grating some fresh ginger in with other herbal teas and add more to your cooking too. A general digestive stimulant yet helps with nausea and gas. Dandelion root tea, ginger, and peppermint can all be taken as herbal teas, so including them regularly in your daily routine is going to be beneficial for inflammation. Alternatively, if you don’t like drinking tea you could take a Milk Thistle supplement. Milk thistle is a liver protectant and antioxidant aiding in rapid detoxification, protecting against damage and rapidly restoring function for better metabolism. Don’t underestimate the power of this simple drink – I wrote about it more over here. 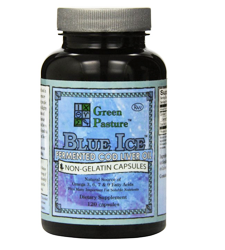 In a nutshell, it helps stimulate digestion, balance hydrochloric acid and balance pH levels. To kick start your metabolism every single day, this drink is to be taken first thing in the morning on an empty stomach. You basically skip your morning coffee and have a lemon, apple cider vinegar tea instead. Place the juice of half a lemon and a teaspoon of apple cider vinegar in a mug. Fill the mug with warm filtered water so that it’s cool enough to drink. Have it first thing in the morning on an empty stomach. *A dental nurse once suggested this could affect teeth enamel. Personally I’ve never had a problem but if you do decide to do this daily (and you should), then use a straw – just to be on the 100% safe side. If you have a copy of my Free Anti-Inflammatory Food Index, you would know that magnesium is the MOST anti-inflammatory nutrient around! 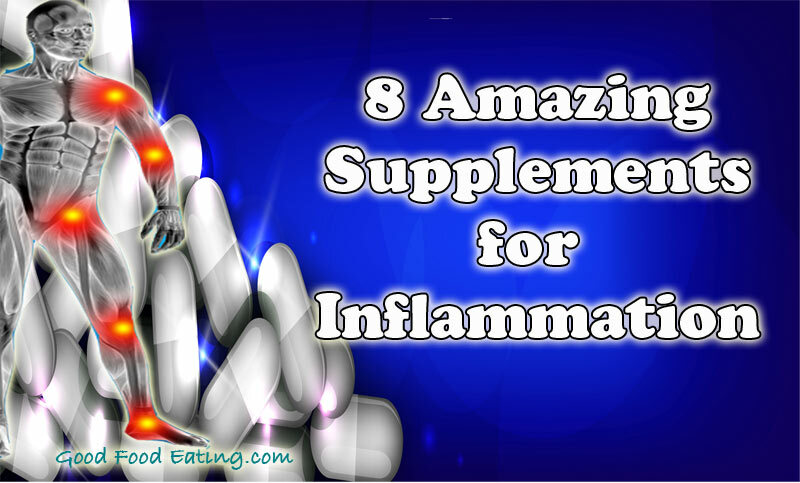 It’s not a supplement that many people consider when it comes to inflammation but it really is so powerful. Many people are deficient in magnesium and don’t even know it. Being involved in more than 300 enzymatic functions in the body, if we lack magnesium, we are really facing a big problem. In fact, recently I discovered that many type 2 diabetics are majorly deficient in magnesium and researchers are even suggesting that the magnesium deficiency could somehow be involved in the development of metabolic issues and diabetes. 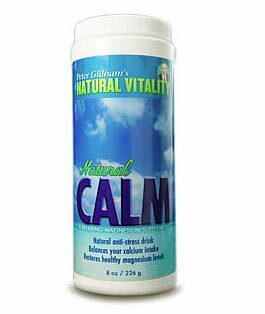 Magnesium supports metabolism, decreases inflammation, and promotes relaxation throughout the body and also helps with assimilation and elimination. You can read more about the benefits of magnesium over here. Turmeric is one of the most studied spices, with thousands of studies exploring and supporting it’s benefits as a powerful anti-inflammatory agent. It’s mainly because of the polyphenols it contains and has been shown to help everything from cancer, heart conditions, preventing oxidation, respiratory issues, liver issues, improving pancreatic function, degenerative conditions, reducing pain symptoms, reducing cholesterol, and no doubt numerous other things. Using it in cooking is great, but because it has a low bioavailability, curcumin supplements are specially designed so our body absorbs more of the beneficial compounds. Fish oil, fish oil, fish oil – no doubt you’ve heard of it’s powerful anti-inflammatory effects. Fish oils, the most frequently used being cod liver oil, contain high levels of omega 3 EPA and DHA – 2 very powerful fatty acids that have known anti-inflammatory benefits in all cells throughout the body, even in the brain. Because of the modern Western diet, most of us have too much omega 6 fats in our body – we’re meant to have a 3:1 ratio, but it’s estimated most of us have a 20:1 ratio, which is very problematic! Omega 6s are pro-inflammatory, so taking an omega 3 supplement helps to help balance out omega 6 and provides a rapid solution for inflammation. 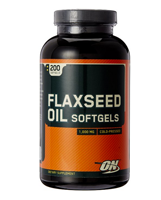 Flaxseed oil is a source of polyunsaturated fatty acids – alpha-linolenic acid. The alpha-linolenic acid and related chemicals in flaxseed oil decrease inflammation through acting as an omega 3 oil. Alpha-linolenic acid converts to EPA and DHA, the two fatty acids that fatty fish contains. Basically flaxseed is the vegetarian option for omega 3s, or if you hate the taste of fish oil and can’t stomach them, use flaxseed instead. You can also combine both fish oils and flaxseed together if you want to, because flaxseed is great for helping with appetite and hunger regulation. Because of this reason, I often recommend taking 2 flaxseed capsules with every meal when making dietary transitions. Flaxseed oil is also a natural source of fiber and can be very helpful in getting the bowels moving and treating constipation. Vitamin C is something we’re all familiar with from our childhood – most of us given some tangy, chewy vitamin C pills when we had a cold. 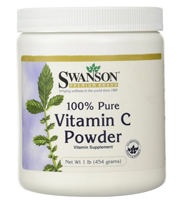 But vitamin C is so underestimated, especially when it comes to fighting inflammation. The adrenal glands (our stress) glands host the most abundant amount of vitamin C in the entire body. Under stress the body’s use of vitamin C increases, the adrenal glands releasing it along with hormones into the bloodstream. When there is increased inflammation in the body or when immune cells are recruited, the body uses more oxygen and as a result produces more free radicals. Free radicals can be useful in times of viral infection but too many free radicals in the body can also contribute to disease and rapidly increase the rate of inflammation. Being a potent antioxidant, vitamin C has the ability to stabilize free radicals so they become ‘normal’ molecules again and do not cause damage. The ability to do this and support stress in the body, makes vitamin C one of the most underestimated anti-inflammatory agents – one most people would never consider. So that’s the line up of anti-inflammatory supplements. But how do you put it all together into a daily routine. 1. Upon waking have a lemon- apple cider vinegar tonic drink on an empty stomach (recipe above). Wait at least 15 minutes before eating breakfast or having anything else. 2. Take magnesium powder and vitamin C powder in some water before breakfast. For dosage, follow the instructions on the label of the supplement brand you buy. 3. 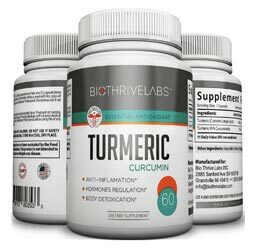 Take 1-3 capsules curcumin (turmeric) per day with meals. Judge this on your level of inflammation. If you consider your inflammation to be bad, take 3 per day, one at each meal. Or follow the instructions on the product that you buy, as they are all slightly different. 4. Take 2 capsules cod liver oil per day. If you can’t stomach fish oils, take additional flaxseed capsules instead. 5. Take 1 probiotic per day before bed or follow label of the brand you purchase. 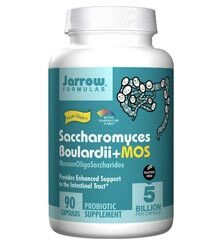 Take either the B.infantis or S. Boullardii, once you finish the bottle, swap to a different strain of probiotic to continually foster bacterial diversity. 6. If you have sugar or food cravings, or hunger and appetite issues, take 2 flaxseed capsules after each meal. This is optional. 7. Drink at least 1.5 liters of water every single day. Start early by having a big glass of water when you get up in the morning. Then fill up a water bottle and carry it with you everywhere you go. 8. Drink the bitters teas at least 1 cup per day. This supplement routine could benefit most people with most conditions, just be sure to check with your doctor if you’re taking meds.